SQUARE DANCING IS FRIENDSHIP SET TO MUSIC! BUT IS IT REALLY FOR ME? YES! Today’s modern square dance has something for everyone from ages 8-98. It is FUN, it promotes FITNESS, and it is an excellent way to meet new people and develop new FRIENDS. IS IT HARD TO LEARN SQUARE DANCING? NO! If you can walk, you can square dance. 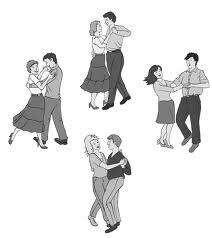 Square Dancing is based on a set of movements to reach a destination at a certain time as directed by a caller. Note to the men: In most dances men are expected to know the required step movements and be able to lead and guide the lady. This is not true in square dancing as each person has a position to reach and are responsible only for themselves. There is a Caller who will tell you what to do which makes the man feel right at home. HOW DO I GET STARTED? Most clubs in our area offer programs to teach square dancing. Knoxville Squares will begin their fall program Sept. 5, 2017. Forget class room studies, books, exams, etc.. Square dance is taught by repetition in a group setting with other newcomers such as yourself. It is a fun setting and you will actually be dancing by the end of the first night. IS IT EXPENSIVE? No, the average cost is $6.00. Less than the cost of a movie ticket. DO I NEED A PARTNER? No. Although a partner is preferred, it is not required. During the class sessions there will be club members (Angels) that come to assist and to dance with those without partners. WHAT DO I WEAR? 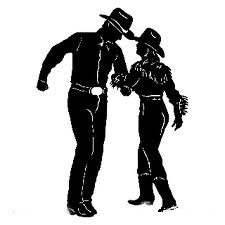 Square dancers are easily recognized by the ladies beautiful, fluffy dress and the men’s western style shirts that often match the ladies outfits. This traditional dress is used on certain special occasions, but for most dances you will dress much more casual. For class and workshop activities it is acceptable for the ladies to dress in slacks or jeans. The long length Prairie skirts are also acceptable and very popular at square dances. Good for Body and Mind. With all its moving, twisting, and turning, square dancing provides more than the daily dose of heart- and bone healthy physical activity. It lowers the risk of heart disease, diabetes, certain types of cancer, age-related memory loss, and osteoporosis. The companionship found in square dancing also reduces loneliness and depression.